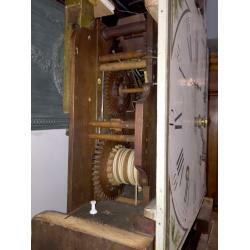 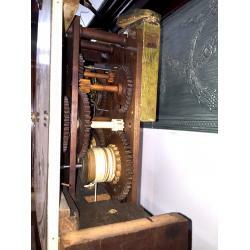 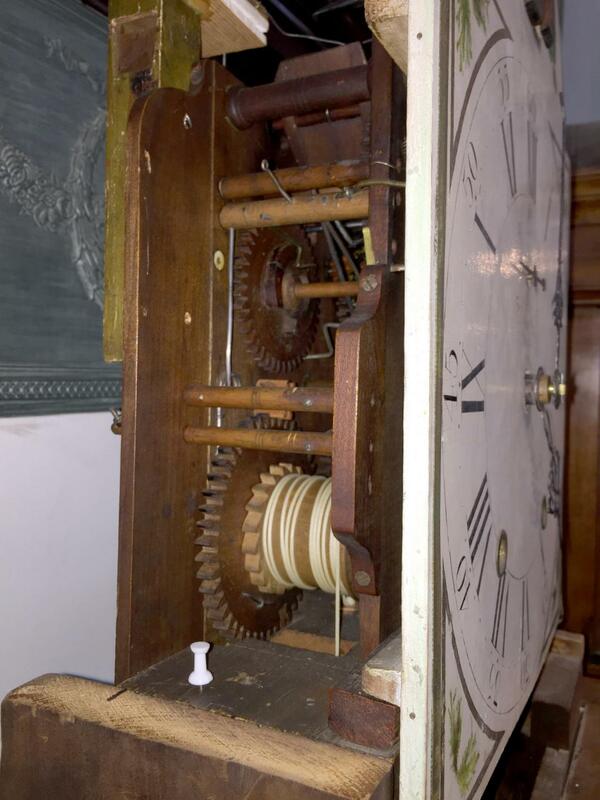 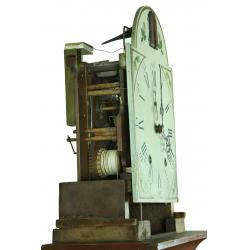 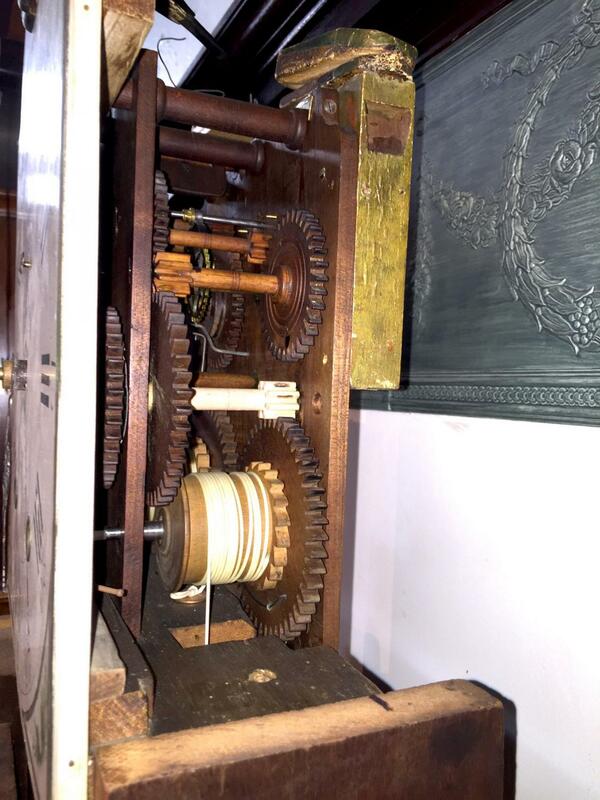 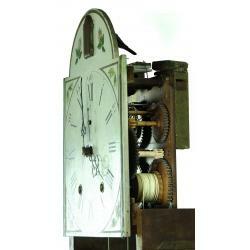 I restored the eight-day duration wooden movement tall clock with working cuckoo bird strike. 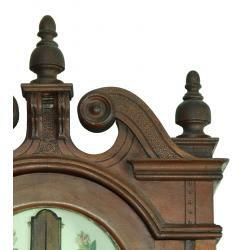 It is my opinion that this movement was made in Litchfield, Connecticut by Asa Hopkins or his brother Orange, and was made for this case. 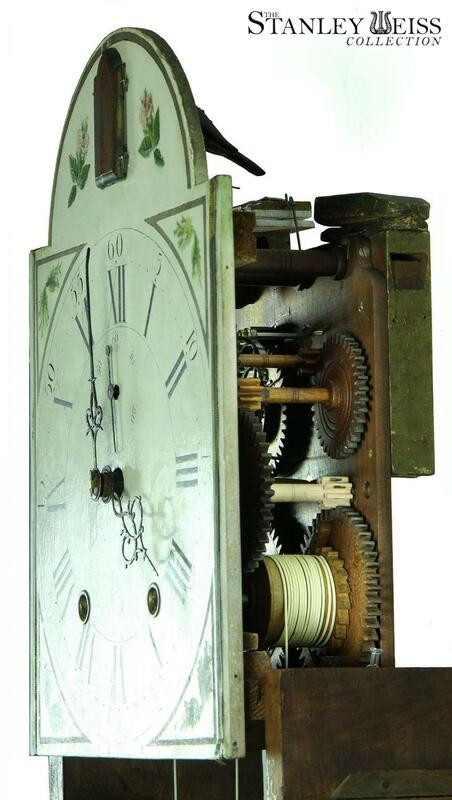 The construction and addition of the cuckoo components are in keeping with the overall construction of the basic movement and of the same period. 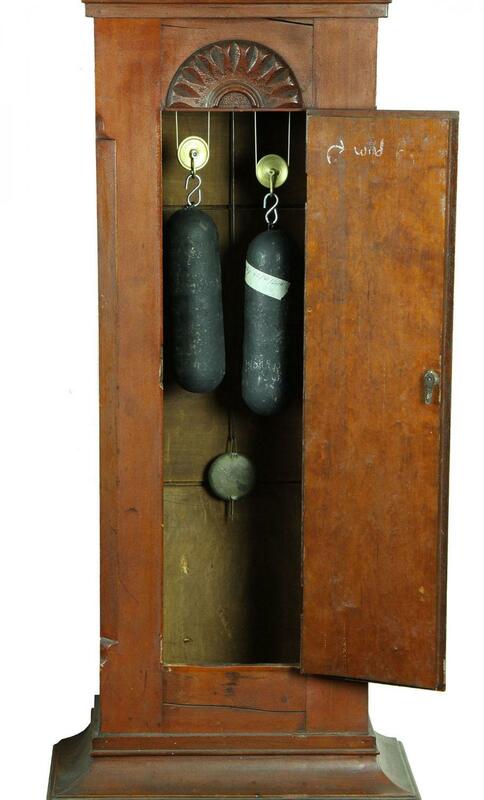 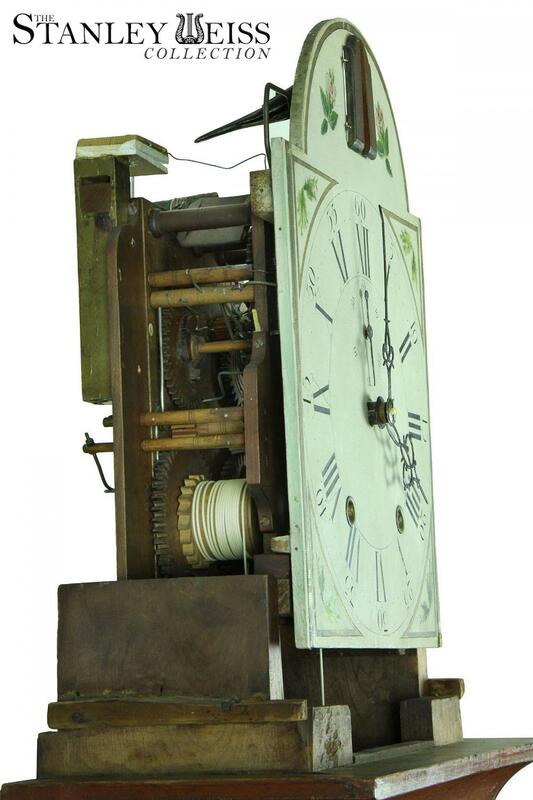 The Hopkins brothers were known for making wooden movements with motion dials, such as wooden rocking ships in the late 1820's. 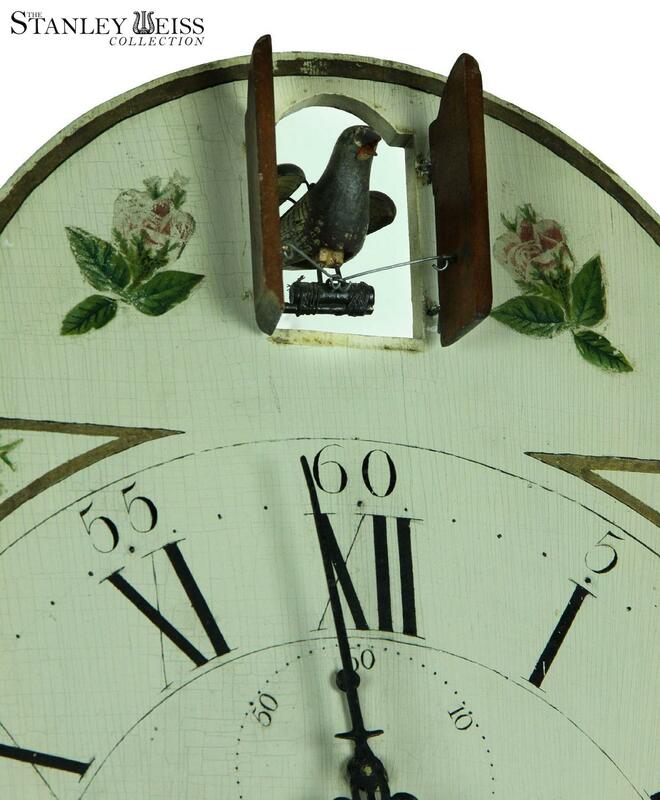 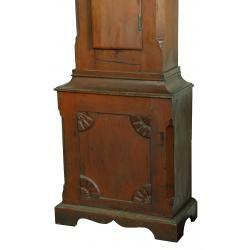 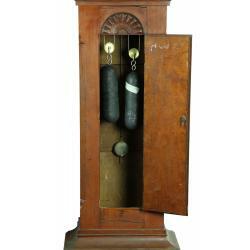 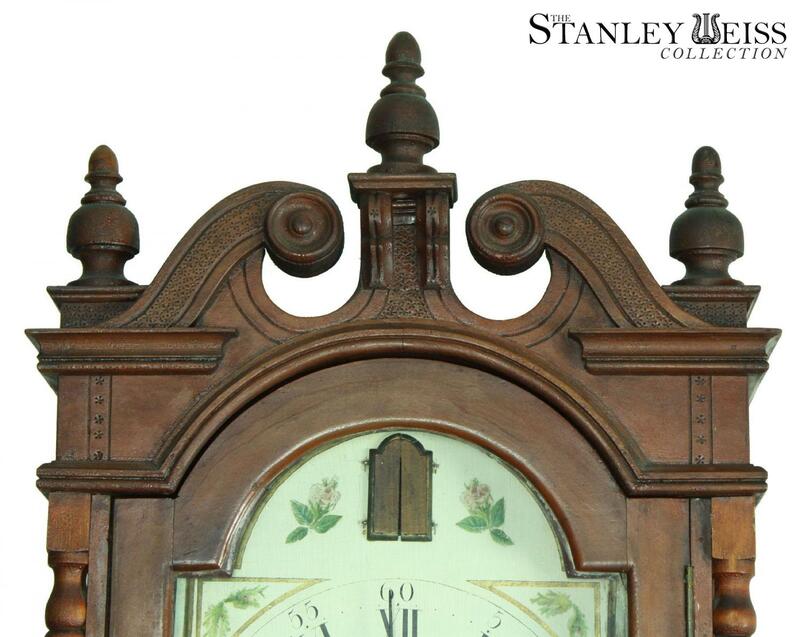 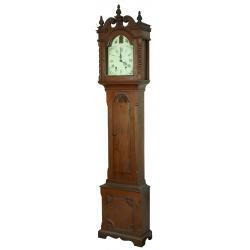 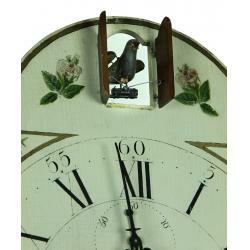 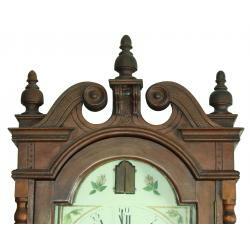 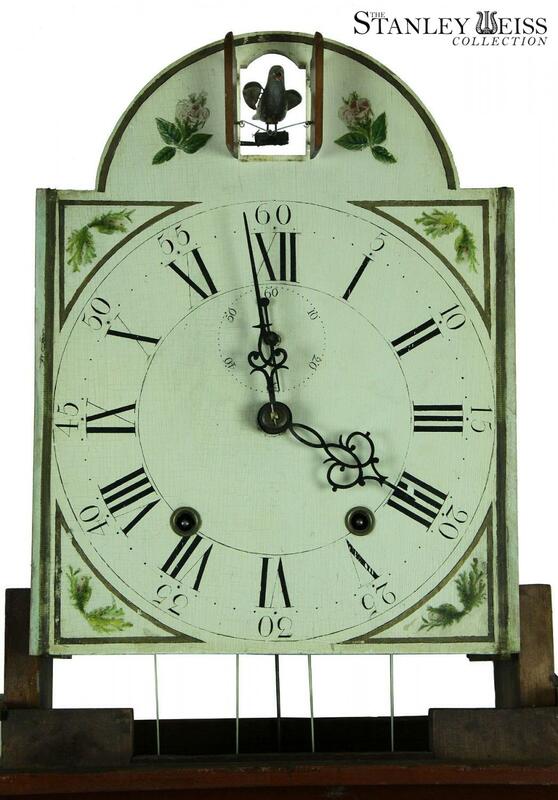 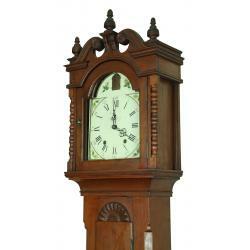 Cuckoo clocks have a long history and the first cuckoo clock was made around 1730 in the Black Forest of Germany. 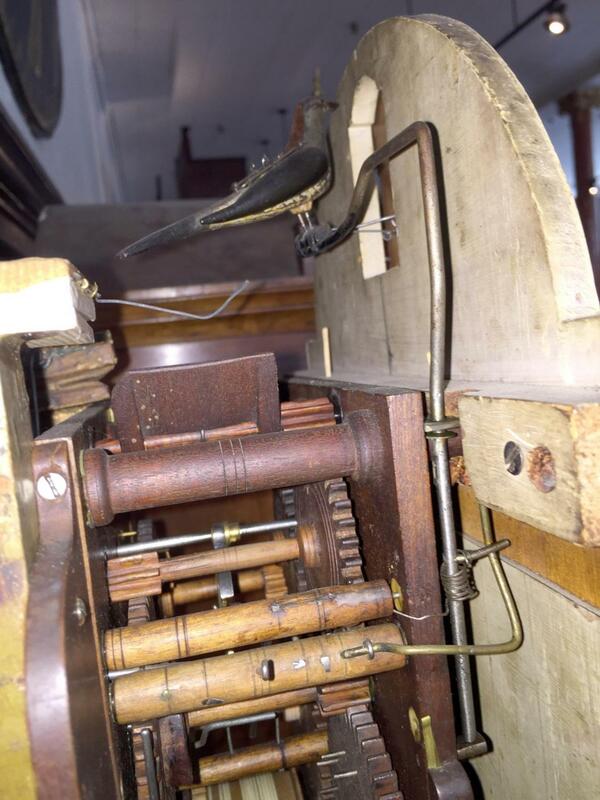 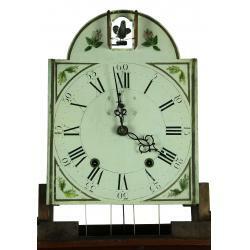 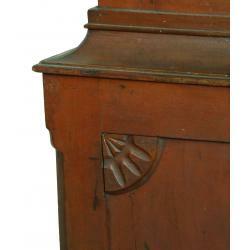 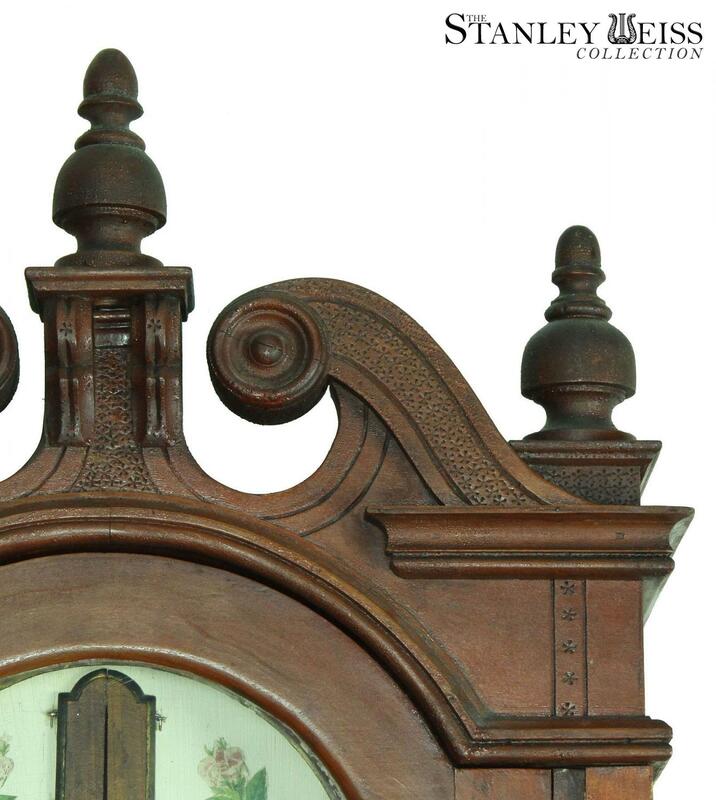 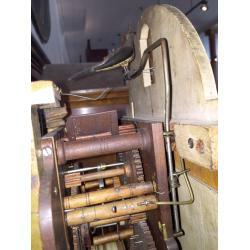 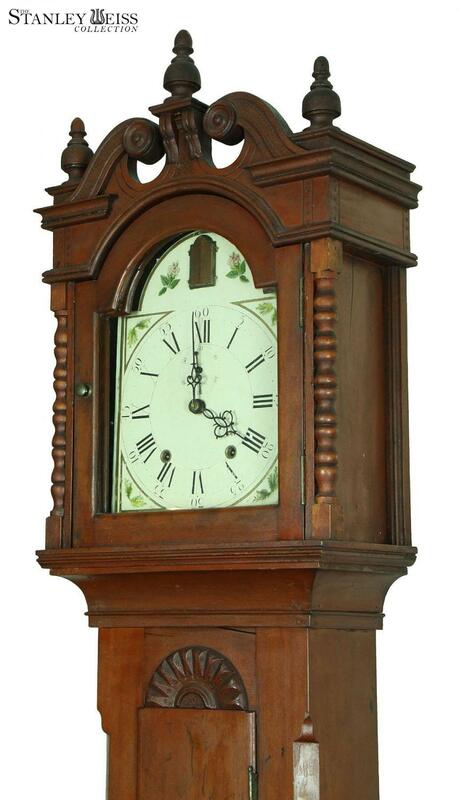 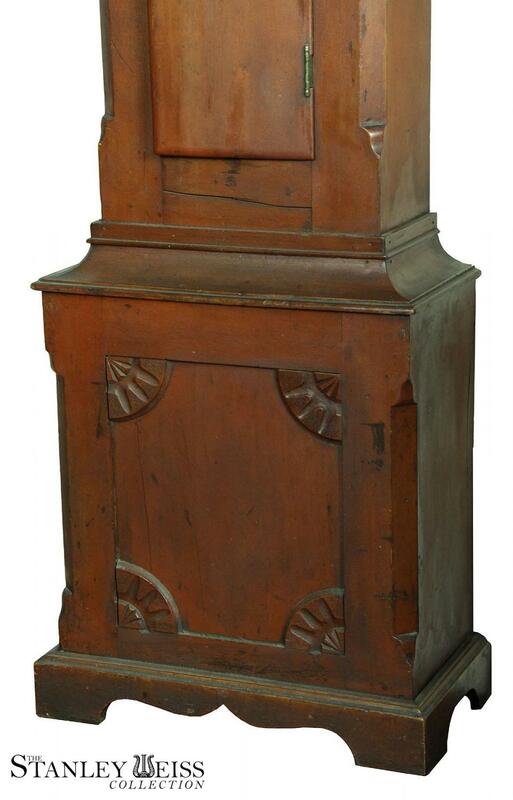 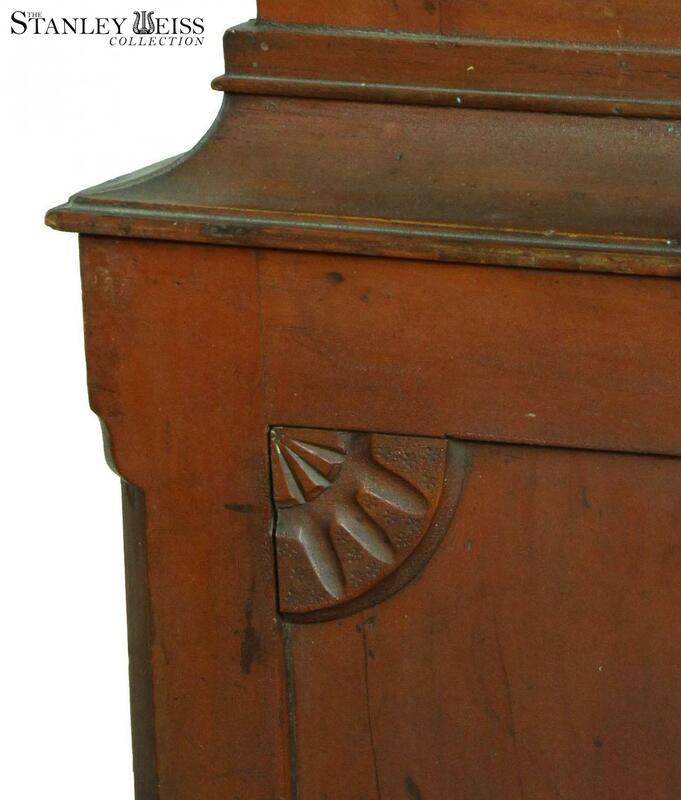 American wooden works movements with motion dials are rare, especially with a cuckoo bird.